11 Reasons We're So Excited! In 2018, so many generous donors and short-term volunteers all over the world came alongside church and community leaders in El Salvador, Nepal and Guatemala and transformed the lives of thousands of families! We are so grateful and are just bursting to tell you about it! Transformation came in the form of empowered local leaders conducting baseline community surveys, identifying real needs and the most needy among them, and designing and running non-cookie-cutter projects that addressed a need AND the root causes of poverty. These projects included hundreds of clean cookstoves, latrines, school buildings, new homes, repaired roads and innovative water and waste management projects at local schools, chicken farms and home gardens, among many others. They also included leadership training and workshops on how to maintain current projects and implement more. Incredible donors like YOU are empowering local churches and communities to actively address their own community's challenges now and into the future. Start off January right by sharing this blog with your friends to highlight the work in these communities and grow the LIGHT in the world! In El Salvador, 67 local church partners worked with their communities to implement 50 projects. We trained 689 church and community leaders in community development to serve 224 different communities. The projects implemented over the past four years are impacting over 71,000 people on an ongoing basis! In Nepal, we completed our fourth year of operations. The local staff trained 258 church leaders from 17 local church partners. They worked with their communities to work on 6 projects, which directly impacted 25,500 people in 30 communities. In Guatemala, we continued the pilot project providing workshops and training to 100 extremely motivated leaders from 10 churches. We anticipate seeing these churches and communities produce some amazing results in 2019 and beyond! Along with all the good news is even more good news. Local church and community leaders in El Salvador raised 52% of direct costs for all projects. 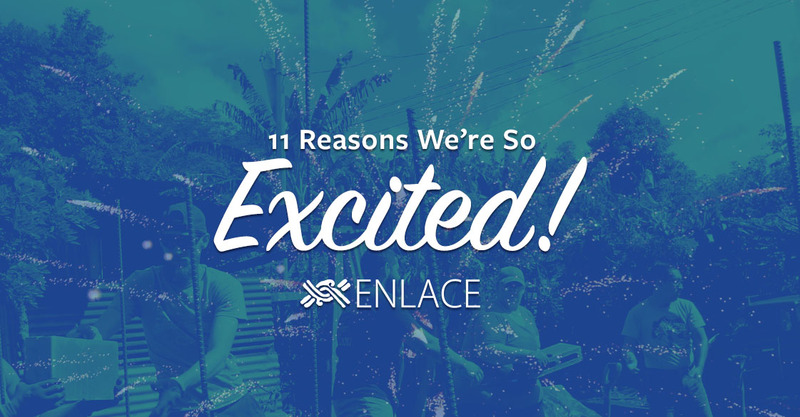 Additionally, building off of their training with ENLACE, church and community leaders implemented 11 projects with their own resources and are planning more in 2019—illustrating the exponential impact your investment is having in these communities. Show your love by clicking here to tweet and share this blog! We've got bigger plans for 2019 and hope you will continue to be a part of it! ENLACE will train and coach 109 local churches in El Salvador, Nepal and Guatemala. These partners have already identified and will be working on 107 projects which will directly impact the lives of more than 101,800 people on an ongoing basis. We are so grateful to our donors and volunteers who help to fuel these miracles! What are your plans for 2019? We'd love to know! Leave a comment below.